I usually look forward to the Friday evening PBS NewsHour when Mark Shields and David Brooks have a brief time to discuss current news. Not so last night, when both men voiced their dismay over the current effort in Virginia to extend abortion rights through the 3rd trimester. It doesn’t take much intellect or time to discover the reasons a rare late term termination might be needed. All you have to do is read the stories of women who have faced such a terrible choice. But first, let’s get something straight. Women who go through months of pregnancy are not under any circumstances going to decide on a whim to terminate. Hormonal-driven instinct commands the woman to do everything possible to protect that soon-to-be child. But sometimes hard facts and common sense dictates she make a heart-wrenching decision. The day of the MRI finally arrived. She was 35 weeks, 0 days. By the end of it, Kate and her husband had the hardest answers they’ve ever received. Their daughter had moderate to severe Dandy-Walker malformation. But that wasn’t the only diagnosis; Laurel also had a brain condition in which fluid builds up in the ventricles, eventually developing into hydrocephalus and possibly crushing her brain. She had a congenital disorder too, in which there was complete or partial absence of the broad band of nerve fibers joining the two hemispheres of the brain. What this meant was Laurel was expected to never walk, talk, or swallow. That was if she survived birth. “Babies like yours are not generally comfortable enough to sleep,” the neurologist said. After seeing the ultrasound at UVA, Lindsey noticed the growth had enveloped half of Omara’s face and spread around her neck to the back of her head. When the doctor entered, they expected the worst. Again, the term lymphangioma came up. 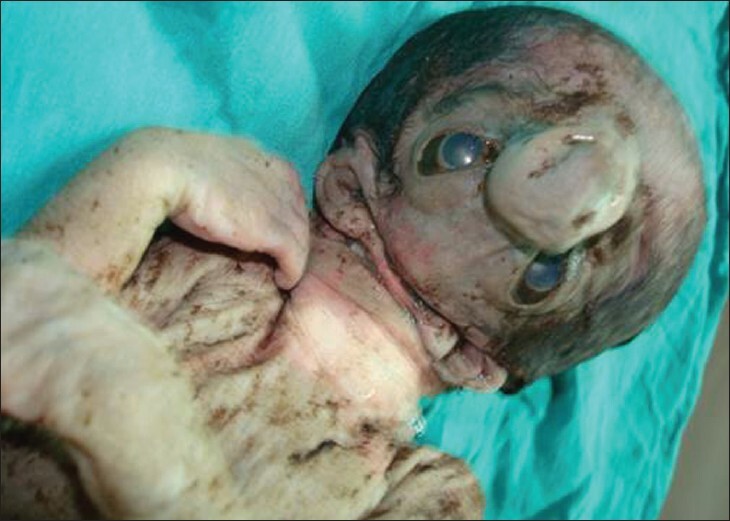 But so did cervical teratoma. Only an MRI could determine decisively, but whether it was malignant or benign, it could be fatal to the baby. “You could just tell the energy in the room was like: you should end it, it’s not going to turn out well,” she says. The doctor told them they could terminate the pregnancy since Omara’s chances of survival were slim. Matt and Lindsey were crushed by the prospect. They wanted to fight. Twenty days after seeing the first signs of trouble, they learned that Omara had an aggressive form of lymphangioma growing out of her neck. The diagnosis came in the form of a dense two-page MRI report. The fast-growing, inoperable tumor had grown into her brain, heart, and lungs. It had wrapped around her neck, eyes, and deep into her chest. It was so invasive, it was pushing her tongue out of her mouth. Her chances of living to the age of viability or birth were slim. Lindsey and Matt made the heartbreaking decision to follow through with an abortion at about 24 weeks. They were just a few days away from it being an illegal termination. …our child came with technical terms like hydrocephalus and spina bifida. The spine, she said, had not closed properly, and because of the location of the opening, it was as bad as it got. What they knew — that the baby would certainly be paralyzed and incontinent, that the baby’s brain was being tugged against the opening in the base of the skull and the cranium was full of fluid — was awful. What they didn’t know — whether the baby would live at all, and if so, with what sort of mental and developmental defects — was devastating. Countless surgeries would be required if the baby did live. None of them would repair the damage that was already done. 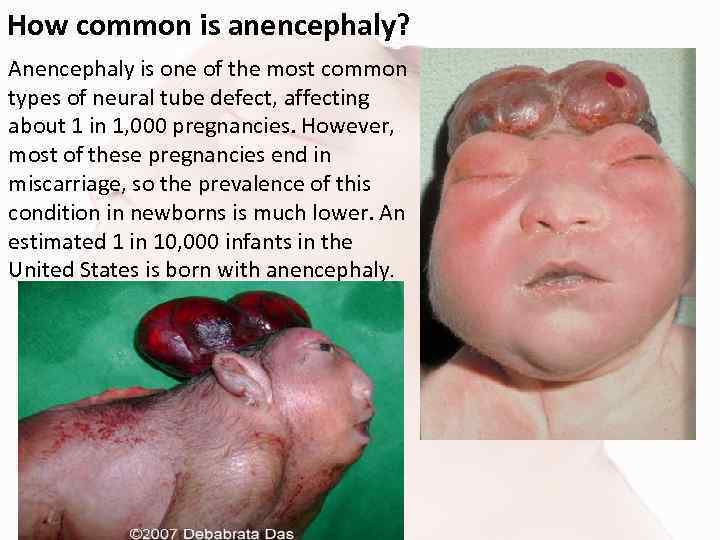 anencephaly, characterized by the absence of the brain and cranium above the base of the skull, leading to death before or shortly after birth. These are cases referred to in recent remarks by Ralph Northam, Virginia’s beleaguered governor, as newborns who would be made comfortable until they die of natural causes. Let me state unequivocally that the ONLY person(s) who should be involved in a decision about abortion is the woman, her partner, and the physician. No one else can possibly understand all the elements involved in such a decision, nor does anyone have any right to a say in the decision. Certainly the government has no right to decide who is born. These are not only difficult decisions based on a woman’s ruined hopes of giving birth to a healthy child, but also difficult because of outrageous costs involved in keeping a deformed baby alive. Massive expense accrues daily when survival means intensive neonatal care for which most parents are ill-equipped to pay. The expense then falls to the medical community and in most cases is passed off to the government where taxpayers foot the bill. Why? What is the benefit to taxpayers in keeping alive for a few hours/days/weeks – or in some cases, years—semi-human beings who can never function as a human being? In many ways, we’ve created this problem by advancing science and medicine to a point where extraordinary means can keep a newborn alive when nature would have terminated its life at birth. In many cases, both the mother and fetus would have died. We as a nation need to get past the idea that every fertilized egg is going to become a normal person. If you are allowed to abort a fetus that has a severe genetic defect, microcephaly, spina bifida, or so on, then why aren’t you able to euthanize that same fetus just after it’s born? I see no substantive difference that would make the former act moral and the latter immoral. After all, newborn babies aren’t aware of death, aren’t nearly as sentient as an older child or adult, and have no rational faculties to make judgments (and if there’s severe mental disability, would never develop such faculties). It makes little sense to keep alive a suffering child who is doomed to die or suffer life in a vegetative or horribly painful state. We need to encourage women to seek medical opinions in every pregnancy and make use of prenatal testing to the greatest possible extent. When a fetus is found to be compromised, expectant couples should be encouraged to abort instead of shamed for even considering it. Abortion should be available through every gynecologist in every part of the nation. Already fifty percent of Medicaid dollars are spent on children, many of whom were born with severe defects that can never be cured. These children won’t grow into normal adulthoods no matter how much they’re “mainstreamed” in public schools or how much special treatment they receive. Yet somehow this subject never comes up in discussions about the federal budget and the mushrooming costs of Medicaid. Is life without mental function “human life”? Is life without capabilities beyond those of a six-month-old “human life?” An advanced civilization should seek quality of life, not quantity. As science and medicine learn more, we become more able to sustain life even in the most vegetative state. At a point where “life” can be created in a petri dish, it’s time we talk about what human life means. Above all else, we need to respect the individuals confronted with terrible decisions about their potential offspring and let them decide what is best. It’s their DNA, their future. They have the right and responsibility to decide. No one else can. 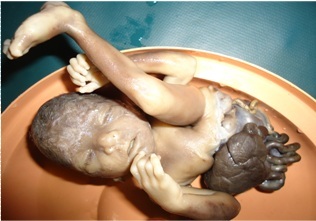 This entry was posted in Morality and tagged abortion, deformity, fetus, government restrictions, late term abortion, moral choice, parents, pregnancy, women on February 2, 2019 by Denele Campbell.